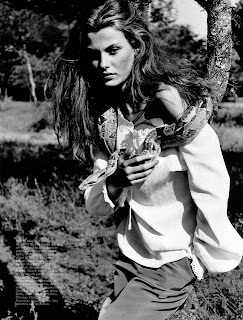 You know some of the crazy stuff that Tyra Banks has her posse of wannabe models doing on ANTM shoots such as posing with snakes, bugs and all manner of wildlife? 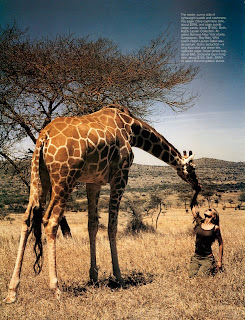 Well, it actually really does transpire from time to time in the real world of modelling. 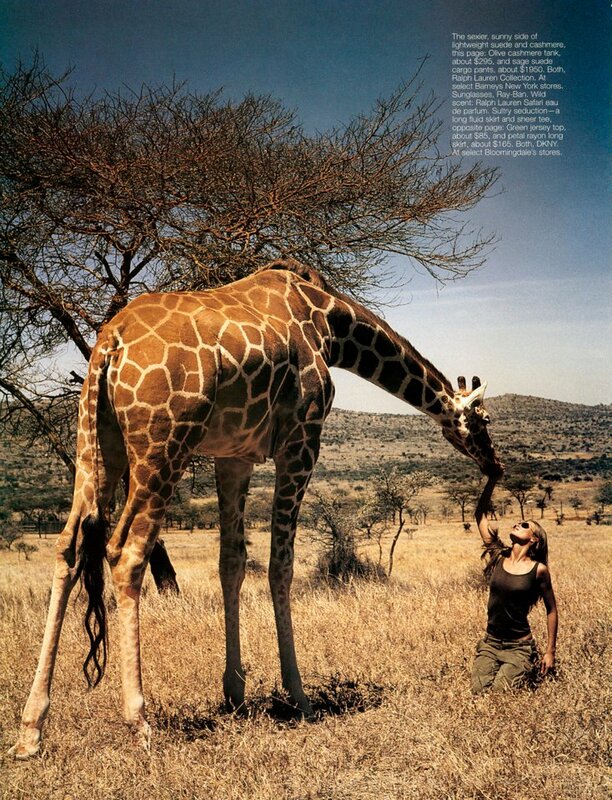 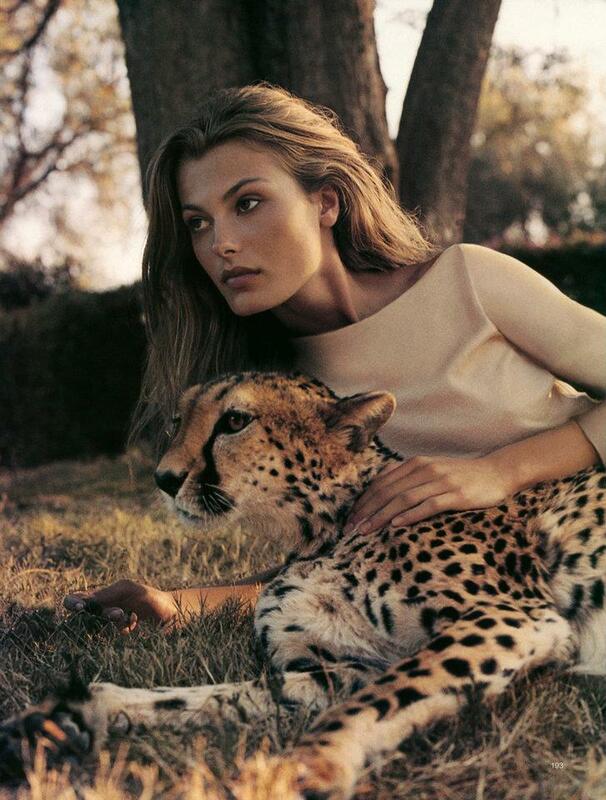 One of my all-time favourite editorials is from US Harpers Bazaar's May 1999 issue featuring the exquisite French model Aurelie Claudel and a Noah's Ark of the animal kingdom. 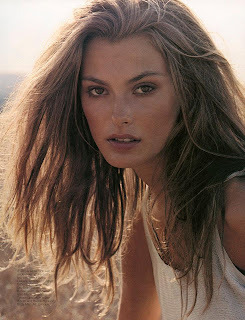 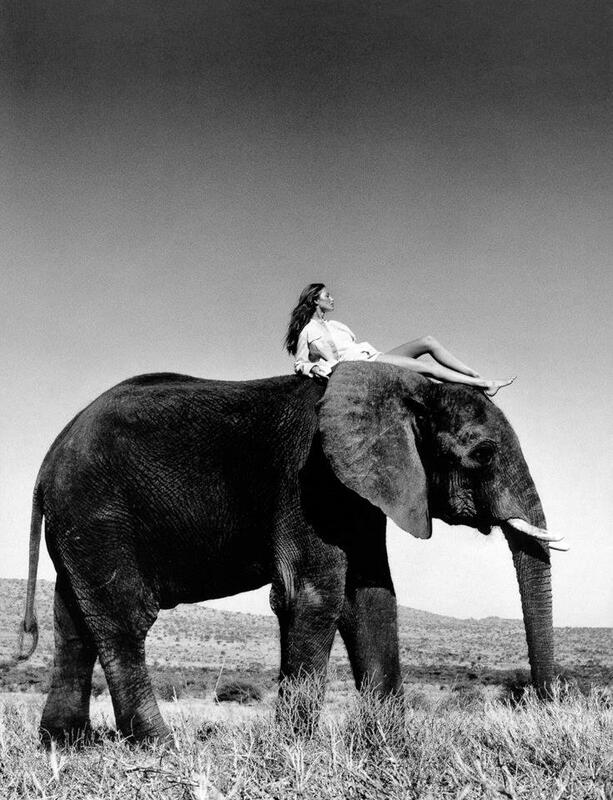 Lensed by photographer Wayne Maser, Claudel stars alongside a cast of wild things including an elephant, a giraffe, pythons, lions, an ostrich and rhinoceros. 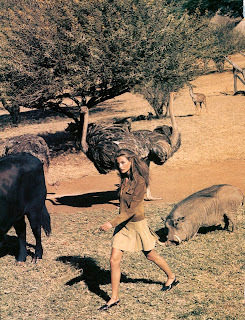 Claudel unleashes the beast within whilst maintaining her model composure alongside these magnificent creatures.